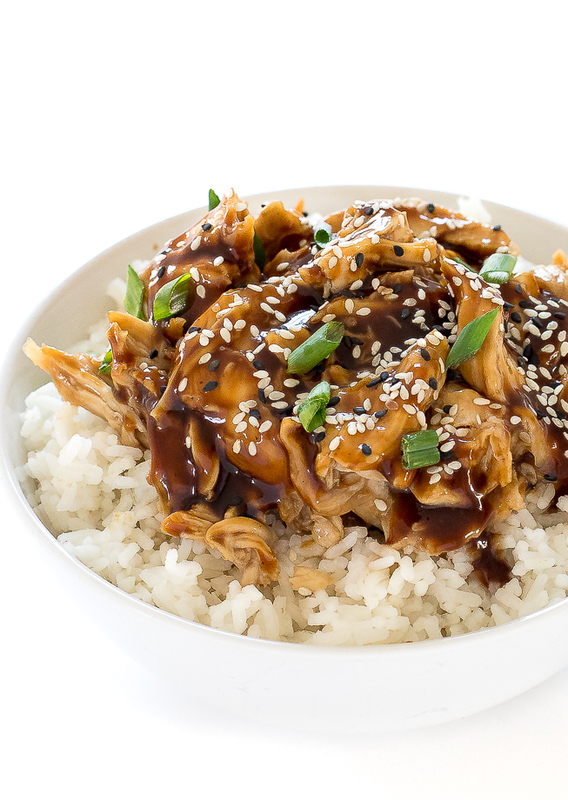 Slow Cooker Teriyaki Chicken. 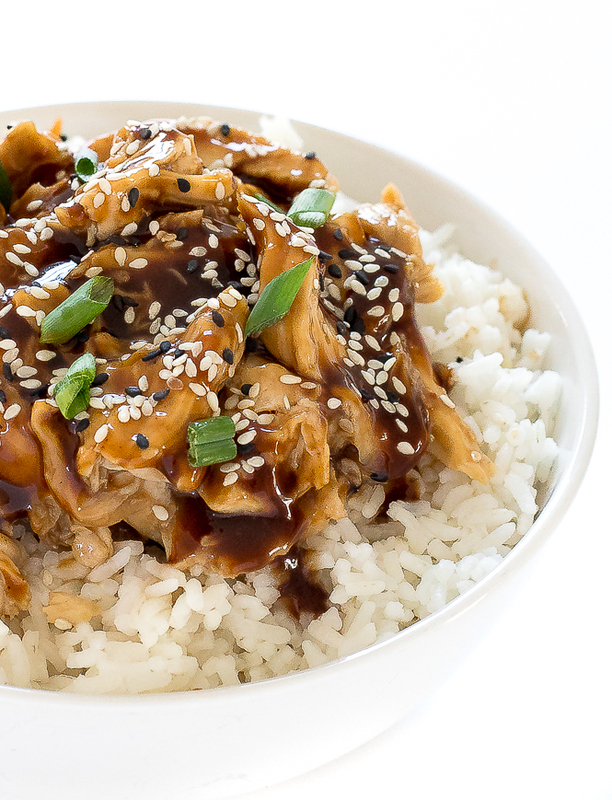 Tender, juicy and smothered with a homemade teriyaki sauce! I love making my own teriyaki sauce at home. It’s so much easier to control the sweetness and the salt level. 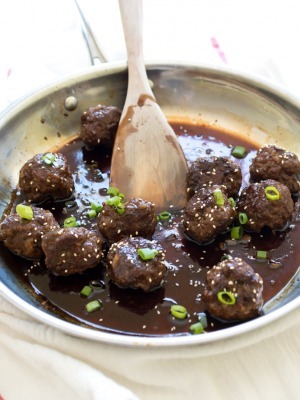 I used a similar homemade teriyaki sauce as my Easy Teriyaki Beef Meatballs and my Teriyaki Baked Salmon. 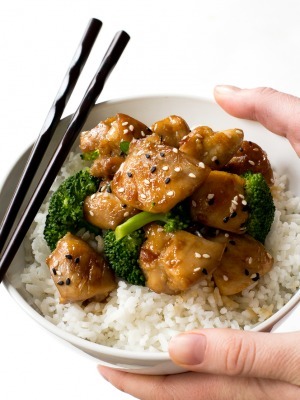 The teriyaki sauce consists of soy sauce, honey, fresh ginger and garlic. This recipe couldn’t be easier. 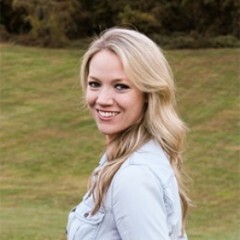 I toss all of the ingredients in the slow cooker and cook it on low for 4 hours. When the chicken shreds easily that means it is done! To thicken up the sauce I heat it up in a small saucepan along with some cornstarch and cold water. While the sauce is simmering I shred the chicken then toss it all together. 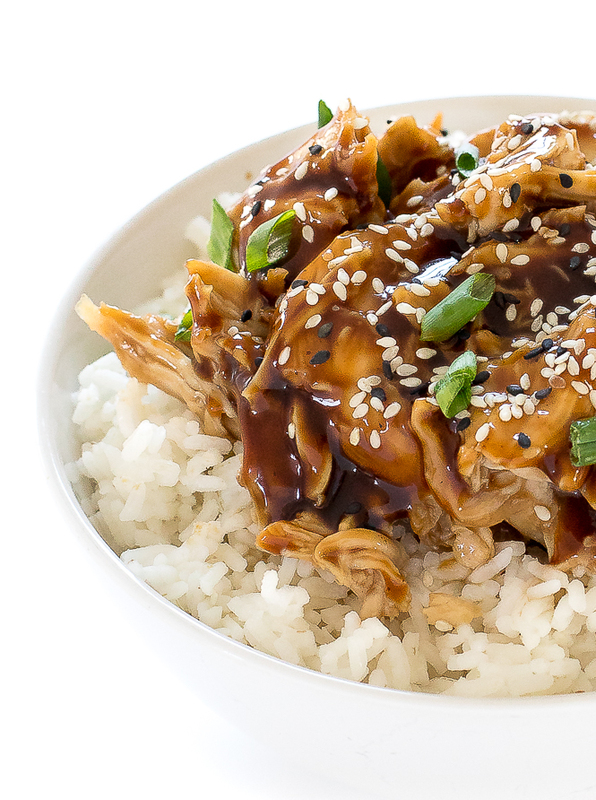 Serve this Slow Cooker Teriyaki Chicken with a side of veggies and rice. Add the chicken, garlic, ginger, honey, soy sauce, vinegar, sesame oil and mirin to your slow cooker. Cover and cook on low for 4 hours or until chicken is cooked through and shreds easily with two forks. Pour the sauce from the slow cooker into a medium saucepan. In a small bowl whisk together water and cornstarch. Slowly whisk the cornstarch mixture into the sauce and bring to a boil whisking constantly. Cook for 1-2 minutes or until the sauce is thickened. Toss the shredded chicken into the sauce and stir to coat the chicken in the sauce. Serve immediately with sesame seeds and green onions for garnish, if desired.